With the new Wardrobe system changing the way you interact with your gear’s appearance, we felt that this was the perfect time to introduce some updates to the dye system. 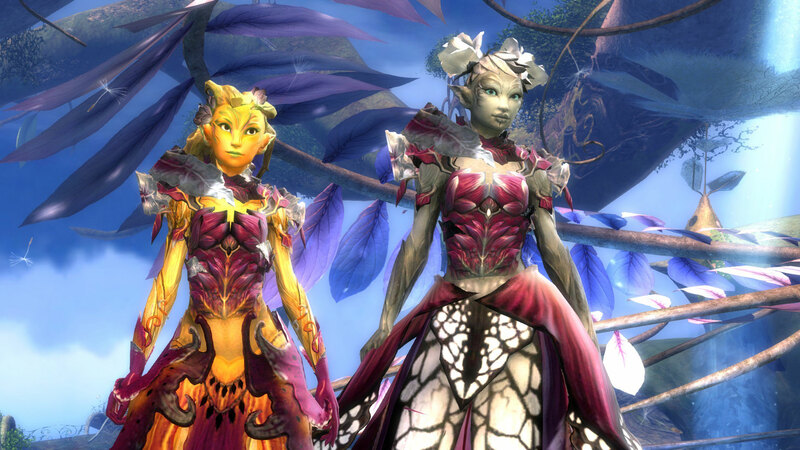 In the April 2014 Feature Pack, dyes will be getting a significant overhaul. Check out the changes we’re planning to make below! 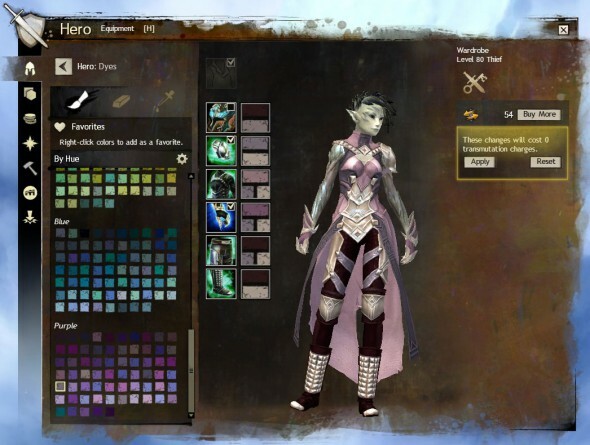 …these changes will make dyes more accessible and easier to use than ever before. One of the biggest changes we’re making is that dyes will no longer be unlocked per character but per account instead. When you unlock a dye after the feature pack is released, all characters on your account will have unlimited access to that color. If you already have the same dyes unlocked on multiple characters, when you log in on additional characters, you will receive one unidentified dye for each duplicate dye already unlocked on your account. With dyes becoming account unlocks, the demand for dye will decrease and unidentified dyes will no longer drop as loot but will still be available from the Mystic Forge and select in-game rewards. Both specific colors of dye and unidentified dyes will still be tradable and available on the Trading Post, and hue-specific dyes can still be crafted. The process for identifying unidentified dyes will remain the same. A new section of the updated Hero Panel will be devoted to dyes. Here you will be able to dye your armors and outfits as well as view your dye collection. The new Dye tab in the Hero Panel will feature greatly improved dye confirmation, and you will be able to preview dye colors on your equipped armor by simply selecting a color and moving your mouse over the armor dye channels. We believe all these changes will make dyes more accessible and easier to use than ever before. We are very excited to get a chance to make big changes to such a core customization system! For a quick FAQ and more information on dyes, be sure to check out our Knowledge Base article.